Matter of Trust was the fiscal agent for Women’s Global Green Action Network (WGGAN) until they were eligible to be under the umbrella of our friends at Earth Island Institute in 2006. 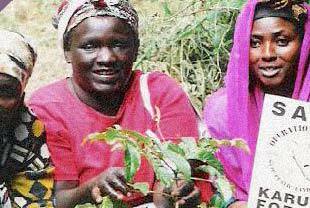 WGGAN cultivates global partnerships of grassroots women environmental leaders for a thriving planet. By providing access to communication tools, support services, and networking capabilities WGGAN helps women strengthen their alliances and leadership abilities in order to develop a collective agenda for affecting environmental and social change at the local, regional, and global level.